How did such a lovely plant come by so many spurious common names? Poor Asclepias tuberosa. 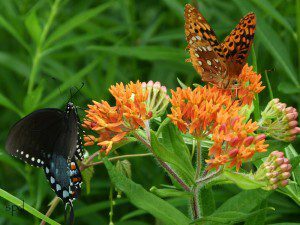 Known by many as butterfly weed, but some of its alternative common names are even worse than that. Pleurisy root, for example. Indigenous peoples once chewed its tough taproot to cure pulmonary ailments, presumably it had a more enticing name then. Or, worse yet, chigger root. Doesn’t exactly call out to you and beg to be taken home, does it? A. tuberosa is also a magnet for many kinds of butterflies and other pollinators, even hummingbirds. Its stiff branches can act as trelllis for supporting weaker neighbors. Its bloom season is quite a long one, too. What’s not to like? 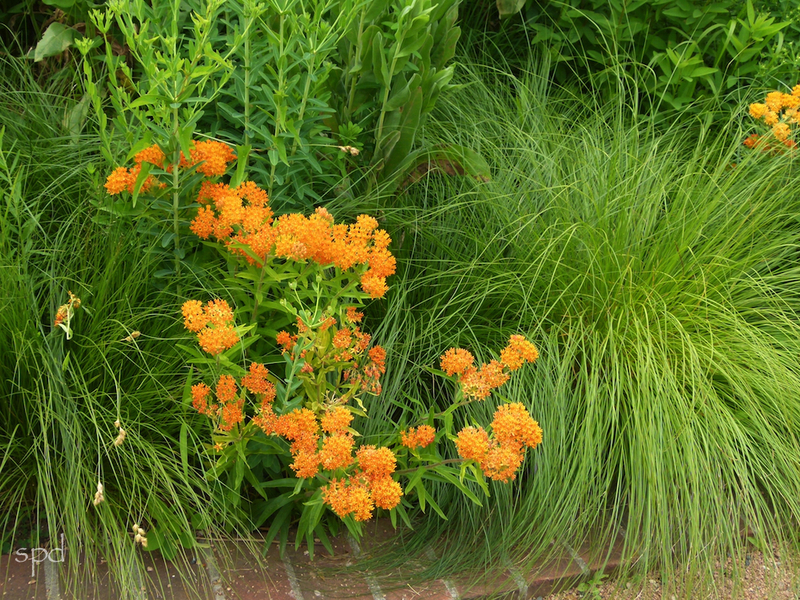 There is a rumor that some people don’t care for the color orange in their gardens. VNPS gives no credence to this scandalous piece of hearsay. 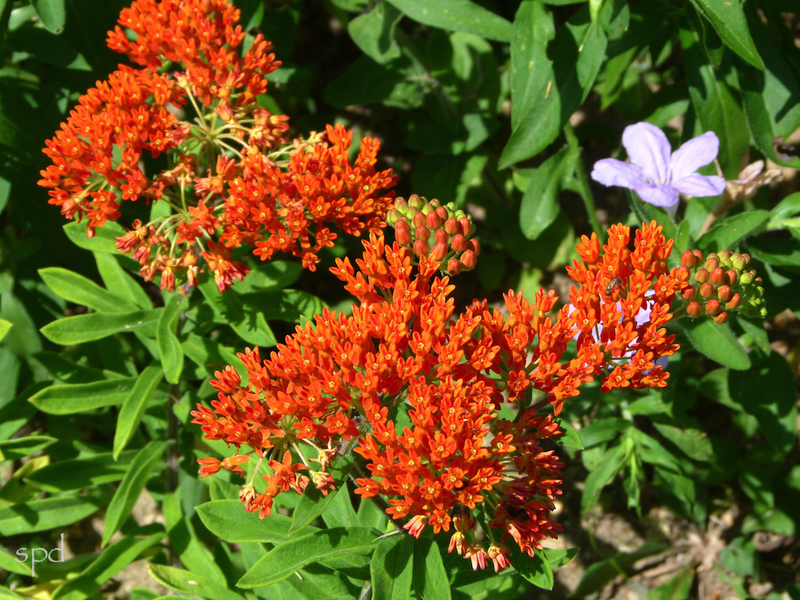 The common names, butterfly weed and butterfly bush, can cause confusion; but the two plants are nothing alike. Butterfly weed, (Asclepias tuberosa), is a herbaceous perennial native to the eastern United States. Butterfly bush, (Buddleia davidii, or sometimes Buddleja davidii) is a non-native shrub; it attracts butterflies, but is a host plant for not a single one of them. No caterpillars can eat its leaves and grow to be the next generation of butterflies. Futhermore, its nectar is a low quality source of the energy-producing proteins that will be needed by the newly laid eggs of butterflies who consume it. it’s invasive.…As far back as 1997 Buddleia davidii was declared invasive by the Brooklyn Botanical Garden. Since then it has been banned for sale in Oregon, put on noxious weed lists in many places, and completely taken over acres of riparian streamside habitats where it outcompetes the natives so important to a wholly functioning ecosystem. The seeds of butterfly bush are carried long distances by the wind, and they reside in viable dormancy until conditions are right for them to germinate. Not seeing new butterfly bush plants in your yard is no indication of the damage being done ‘downstream,’ which is the place we are all discovering we live in. Anyone who has grown butterfly bush knows that deadheading to prevent seed distribution is completely impractical. Sterile cultivars are proving over and over again that once they have the opportunity, plants will find a way to reproduce. Think of Bradford pear. Given, butterfly bush is pretty, easy to grow, and attracts butterflies; but if we are serious about preserving biodiversity, and not just a few of the most charismatic creatures we favor, we need to make choices that will promote that long-term goal. 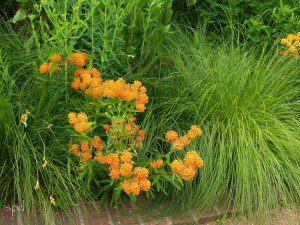 If you really want to support butterflies, as well as our native birds and bees, plant a good mix of native plants, including A. tuberosa, selected for a long season of bloom. Heather Holm’s new-this-year-book, Pollinators of Native Plants has lists of blooms organized by habitat and season making it easy to determine plants for your specific site. Here is review of the book; of the 31 species she profiles, 24 are native to Virginia: Book Review. Asclepisa tuberosa, var. tuberosa is a milkweed native to every county in Virginia and considered common throughout, according to the Flora of Virginia. 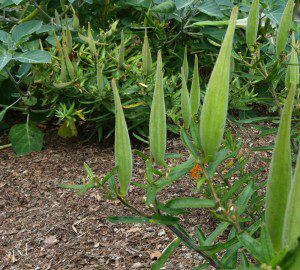 It has the distinction of being the only Asclepias that has clear, instead of milky, sap. There is one other variety of A. tuberosa, a variety called rolfsii, existing in Virginia, but it is found only in one county, Southampton. does not transplant easily so put it where you want it and enjoy the show! Be Careful What You Plant!